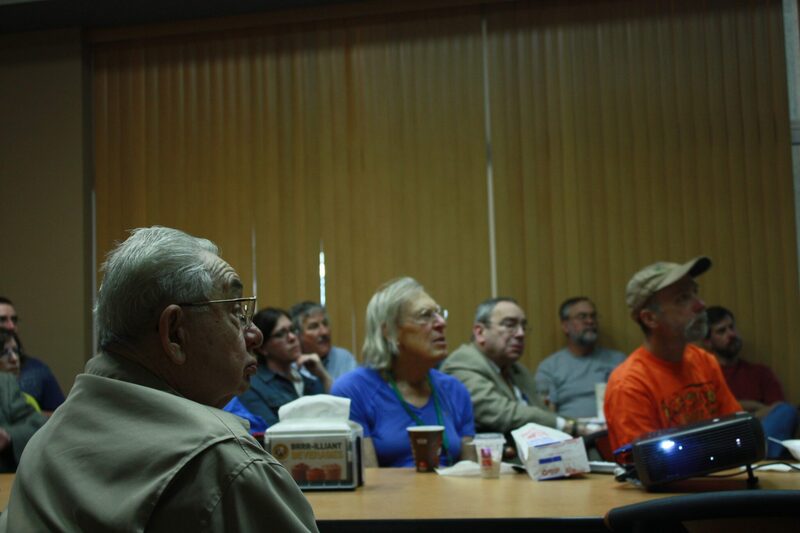 Dr. Stacy Clark explain her research on the American chestnut to a crowd at Friday’s UT Science Forum. 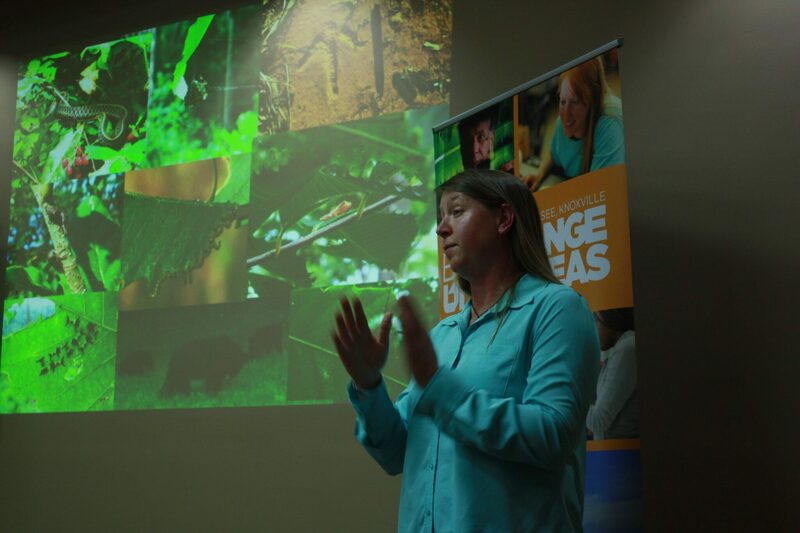 Dr. Stacy Clark of the U.S. Forest Services, spoke at Friday’s installment of the UT Science Forum on “American Chestnut Restoration: Can We Bring Back the Mighty Giant.” Her presentation highlighted current efforts being made to restore the large tree. The American chestnut was once one of the most important trees within its growth range, stretching from Canada to Mississippi and Alabama. In the last 100 years it has been nearly decimated due to blight, ink disease and insect habitation. “It’s sad to think about, this tree that was once deemed one of the most important trees in terms of timber production and nut production is pretty much wiped out,” Clark said. WATCH: News package about Dr. Stacy Clark’s presentation. Clark and her team are currently conducting research to help protect, and eventually restore, the American chestnut. She has been working closely with The American Chestnut Foundation, which breeds disease resistant chestnuts. The ACF provides nuts (seeds) to Clark and her team. The team has 11 planting sites in The South where they grow and perform research on plants. The goal of the research is to test how the plants fair in a forest setting. The sites have been slightly manipulated to create more advantageous growing conditions for the saplings. A crowd of UT students, employees and members of the community were in attendance for Clark’s presentation. “You really have to have an approach that is multi-disciplinary. If you think you are going to restore a chestnut by creating a tree that is resistant to the blight, you’re not going to get very far,” said Clark. Success rates have varied in the growing areas. Average survival for their 2009 planting is about 77 percent. If the tree had a lot of roots, it tended to survive at higher rates. The 2010 plantings were not as successful, with survival rates below 30 percent in some areas. While researches still face plenty of obstacles, Clark feels that their work needs to continue.